Everyone knows that the best vacation days begin on the beach and end with a glass of wine. However, it might not be common knowledge that Destin, Florida has some of the most gorgeous beaches along the Gulf Coast, as well as some of the finest wine destinations. This combination makes it the perfect vacation spot. Picture this. Shimmering, emerald waters stretching as far as the eye can see. Your toes buried in the sand of the pure, crystalline beaches. Taking in a brilliant view as the sun dips below the horizon, a glass of your favorite wine in hand. Sounds like a perfect paradise, doesn’t it? If you are looking for a place to relax on the beach and take life one sip at a time, Destin is where you want to be. Of course, the beach isn’t the only place where you can enjoy good wine. 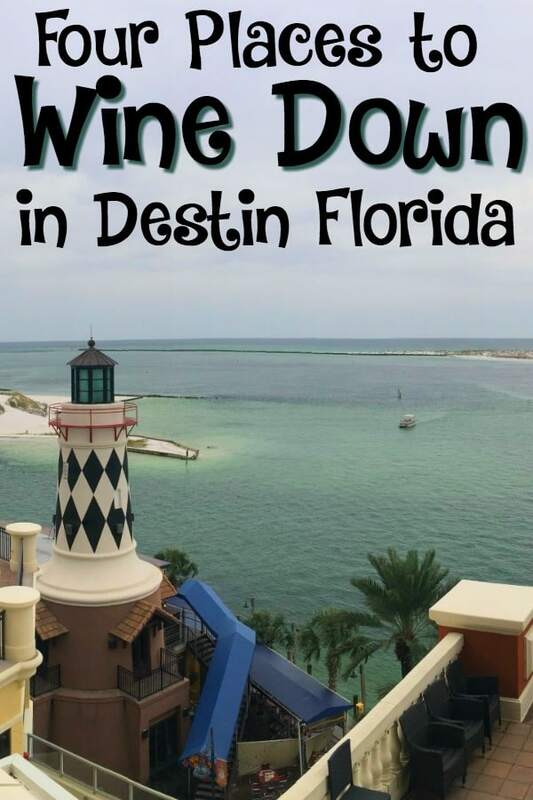 Besides chilling at the beach, there are a number of other great locations to wine down in the beautiful Destin area. A favorite for both locals and visitors, Vin’tij is a unique bistro that combines eclectic cuisine with an expansive wine selection that will suit any palate. Explore the exquisite collection of boutique wines, and pick your own to enjoy with your meal. With an experienced staff to help you with recommendations based on your taste preferences, there is seriously no way you can go wrong. At Vin’tij you can also experience a wide variety of events, like Thursday night wine tastings, which is something you will not want to miss! Renowned among locals for its award-winning wine list, the Wine Bar radiates a sophisticated yet casual atmosphere that appeals to everyone. Enjoy unique wine dinners, events featuring wine and spirit celebrities around the world, indoor and outdoor seating, and an awesome happy hour special. With three locations in the Destin area, there is absolutely no excuse for not visiting the Wine Bar while on vacation! A vacation in Destin is not complete without real Florida wine. Emerald Coast Wine Cellars offers a large selection of home-grown wine varieties, all of which come straight from their Florida vineyard. The result? Wines that are flavorful and vibrant, just like the Gulf Coast lifestyle! Before you leave, make sure to check out the whimsical, wine-related retail gifts as a souvenir of your awesome vacation. 30A Wine provides you with the perfect way to always remember an unforgettable Destin vacation…souvenir wine! Every sip brings you back to those picture-perfect beaches, spectacular views, good wine, and everything fine. When the bottle is empty, you know it’s time to book your next trip. Are you ready to relax and wine down on a Destin vacation? Ocean Reef Resorts offers vacation rental accommodations within walking distance of these unique wine experiences, as well as others in the Destin area. These vacation properties also provide countless activities and adventures to make your vacation memorable. Reserve your stay with Ocean Reef Resorts to ensure your vacation is one for the books. Destin is one of my favorite places in the world! Check out my list of the Five Best Restaurants in Destin.